Italian Railway Guide to "Through-Services between Italy and Abroad, 1937-38" view two. 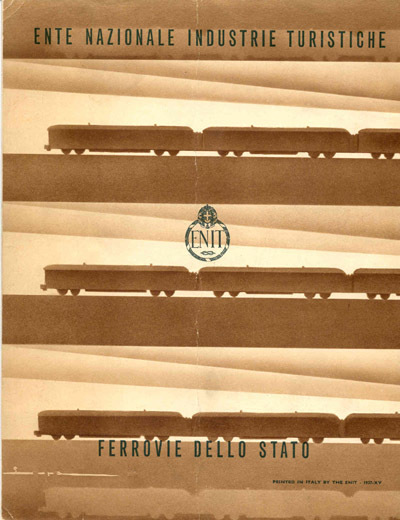 Published by the Ente Nazionale Industrie Turistische (ENIT - Italian State Tourist Department) and the Ferrovie dello Stato (Italian State Railway). Signed "Arti Grafiche F.lli Pozzo - Torino."